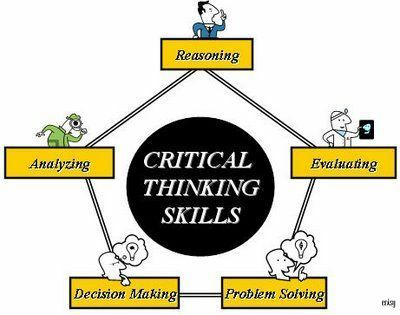 In academic, professional and personal life, decision making or critical thinking skills are viewed as a supreme skill set in the present day. While some people associate these with a stronger brain functioning others associate it with efficiency and effectiveness in decision making. As a management student, I’ve had the opportunity to learn and practice this through the corporate perspective. I also touched base with it in my entrance exams, subjects; and so on. Since I love learning about things in depth, I researched more about its usage, learning, and application. The spectrum is huge and diverse but I identified a set of steps as an entry level. They are the very steps that I’m going to share with my Ertsy community. After all, Ertsy is not only about self-love but also about growing together. Talking about the steps, they are holistic in terms of instilling a better sense of judgment in you. And, they are not original steps but I’ve just curated them and tried to explain their execution in my way. I would also like to thank innumerable books and ted talks I’ve gone through to put the most executable explanation of these together. When met with a situation, it is very important to see it as a question. Extensive studies have shown that our brain responds better to clear questions rather than subjective statements. So, as an instinct, you should first formulate an exact question out of your dilemma. This is one would come rather obvious once you have a question. You want to research and understand all aspects of your question as well as all possible answers before zeroing out on one or a few using elimination methods. To facilitate the elimination method further and zeroing on one decision, apply your choices in the hypothesis. All of our actions have consequences and thus it is always important to always understand what the application of our said action will imply. Be honest and pragmatic when making this assessment. While you may be certain of your choice by the time you reach his step, owing to the heavy assessment in the steps before, it is always a good idea to consider alternatives. Just think about why the alternatives could or could not work for you. This is a way of final check before you lock your decision, it also helps you be more confident and informed about your decision. Sound easy and rather obvious, don’t they? Well, not quite. Because we often skip the step 4 & 5 and end up in complicated situations. With a diligent practice of these steps, we can visibly minimize the long-term risks. After all, nothing can guarantee the cent percent success of any decision we take anyway. I’d love to know your thoughts on this and if you see these steps making your critical thinking skills better. For my travel in style adventures and more, keep following ertsy. Till then, keep learning, keep growing, stay ertsy and be your own desire!